Your City is Hosting the Olympics - Congratulations! Right? The prospect of hosting any mega-event – especially the Olympic Games – is cause for serious consideration. At local, national, and international levels, the discussion takes shape around two key questions: is it worth it? And if so, for whom? The question of worth is not limited to cost – although that certainly remains a crucial feature. Rather, there exists a series of interrelated concerns about how mega-events can disrupt cities, and distract from long-term planning agendas. Bids to host the 2024 Olympics from both Boston and Hamburg were withdrawn for such reasons. Meanwhile, Rio de Janeiro is demonstrating just how challenging preparations for the Olympic Games can be. Here, we take a closer look at five key reasons why a city might be reluctant to host the Olympic Games. Let’s get the obvious out of the way. Here are the estimated costs of the last four Olympics, and the projected cost of the upcoming games in Rio. While the exact cost of any Olympics is difficult to pin down, and is often a point of contention, the last three games witnessed unparalleled public and private investment. Beijing, London and Rio have built long-term “legacy” planning into their budgets, to try to ensure that investment in hosting the games continues to pay off for years after the event. Such legacy promises often promote infrastructure redevelopment, improved transportation systems, economic growth and job creation, projects of urban renewal and regeneration, improved physical activity participation and environmental sustainability. 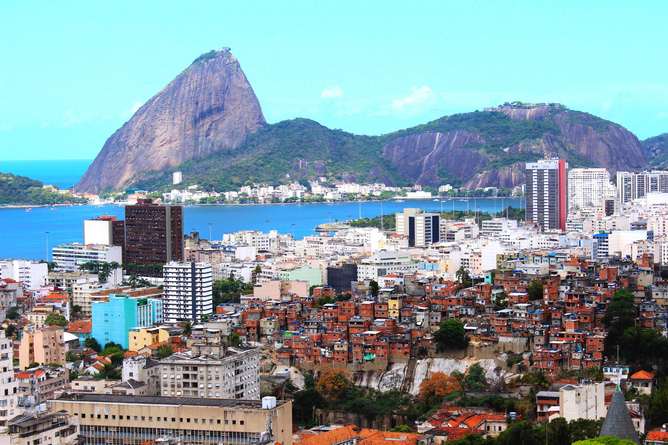 In Rio, planned infrastructure developments are set to continue through to 2030. The financial undertaking for such bids – and the subsequent planning and implementation – is nothing short of enormous. Undoubtedly, the most significant cost relates to the (re)development of urban infrastructure. This leads us to our second deterrent. Hosting a mega-event always involves urban renewal and regeneration. Yet developing the sporting stadia, accommodation and transportation networks to cope with increased numbers of tourists and athletes is anything but straightforward. Before refashioning the urban landscape, planners must know which sites are for redevelopment, for whom, and to what end. Clearly, catering to the demands of the International Olympic Committee (IOC) is one priority. But arguably, it is the least significant. Rather, planners seek to capitalise on urban space by re-imagining the city as a recreational environment – a resource for tourism and consumerism. Retail, festival, sporting, leisure, hotel and heritage spaces are at the core of this vision. While improvements to transportation may provide benefits to the populace, these redevelopments only offer hope for increased tourist dollars and a small number of low-paying jobs. One example is the Estádio Mario Filho (better known as the Maracanã) stadium in Rio, which underwent more than US$500m in renovations ahead of the 2014 World Cup. Once cast in the populist light of the 1950s to communicate ideas of democracy, it now aims to attract a different kind of person: the consumption-oriented international tourist. One of the central challenges of hosting any mega-event is what to do with the new infrastructure after the athletes and tourists have gone. Some host cities – such as Barcelona – have made good use of their stadia, but others are replete with white elephants. Montreal, Sydney, Athens, Beijing and Vancouver have all had their share of post-Olympics venue failures. The 2010 World Cup in South Africa offers a particularly stark warning: the stadia continue to rot from disuse. In addition, Brazil appears destined to repeat the same mistakes, as the country struggles to find a purpose for its 2014 World Cup facilities. White elephants are highly visible reminders that mega-events may not be worth the cost. However, there’s an even more insidious side effect which is often overlooked. Building new infrastructure in a city means destroying established urban areas. When that happens, local populations and communities are often dispersed and displaced. To make way for Beijing’s 2008 Olympic infrastructure, an estimated 1.5m people were forcibly evicted from their homes with minimal compensation. The neighbourhoods were destroyed and residents removed to the outskirts of the city far from friends, family and places of work. In Rio, the forced eviction process has taken on a militarised ethos, as Police Pacification Units (Unidade de Polícia Pacificadora) try to control a number of the city’s favelas. Demolition, displacement and the razing of Unesco world heritage sites all feature in preparations for the games. Repressive measures within China and Tibet at the 2008 games, LGBT rights issues surrounding the 2014 Winter Games in Sochi and casualties on construction sites for the Qatar 2022 World Cup all point toward the persistent human rights issues which all too often accompany mega-events. Rather than representing unity and diversity, it seems as though the Olympic Games have started to signify oppression and exclusion. In many host cities, publicly funded yet privately owned urban renewal projects have been leveraged to impose enhanced surveillance measures. 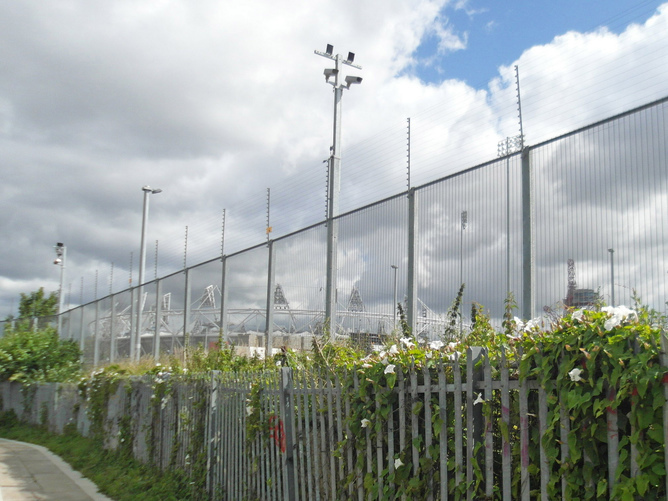 For instance, London 2012 saw the rise of “defensible” architecture, which restricts the access and activities of those deemed “undesirable” – particularly skateboarders, protesters and the homeless – in newly developed areas. London’s Strand East Community – developed by Vastint Holding B.V., IKEA’s holding company for residential development, ahead of the 2012 Olympics – is characteristic of the city’s propensity towards “enclave living”. This means a high security presence, which accepts those with the capital to invest, and rejects those who are deemed a threat to the safety and security of its residents. Such projects have caused the splintering of urban spaces. 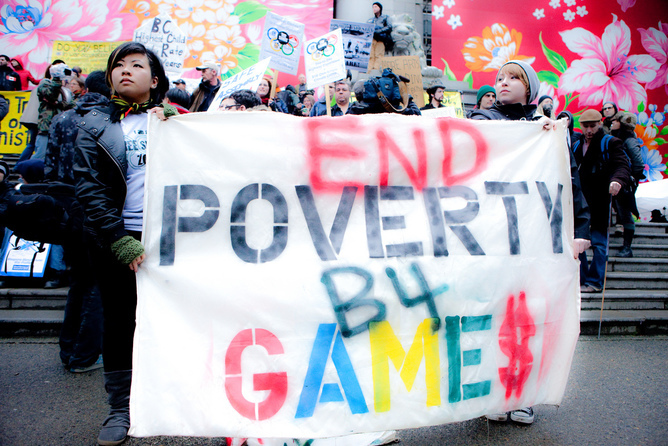 Those who lack the desire or means to engage with the consumer economy are stigmatised as “unwanted”. The fear of attacks on popular sporting events, such as the bombing of the 2013 Boston Marathon and the targeting of Paris' Stade de France in November 2015, fuel the process of securitisation. Planning committees have the burden of dealing with the impossible task of preventing such attacks, by building security into the infrastructure, planning, organisation and practices associated with mega-events. Hosting a mega-event can create buzz, offer the chance for a positive re-brand or garner international prestige. However, it can also draw unwanted attention and bad press. Host nations often obscure human rights violations, but will find it more difficult to manage the high-profile political and economic problems associated with international organisations like the IOC. For example, political scandals have recently tarnished the reputations of sporting bodies such as FIFA and the IAAF. By being more aware of the potential pitfalls of hosting mega-events, residents are in a better position to engage with the bidding process – or to resist it, like those involved in the “No Boston Olympics” campaign. Instead of grasping at opportunities to host the Olympics, city authorities are getting better at considering how the games actually fit with their priorities – or if they do at all. This can only be a good thing.